Designed for those teaching young people in secondary schools across a variety of curricular areas, our Secondary Education program offers an integrated approach to developing the skills and dispositions needed for today’s educational environments. Choose a program of study that will allow you to explore both content and pedagogy. The master's program is designed for graduates of education programs who have received initial teacher certification and wish to enhance their teaching skills through advanced studies in instructional practices that are informed by research. 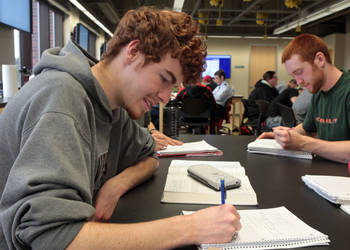 Secondary Education candidates may earn the Master of Science degree. The master's program is designed for students of education programs who have received initial teacher certification and wish to enhance their teaching skills through advanced studies in instructional practices that are informed by research. 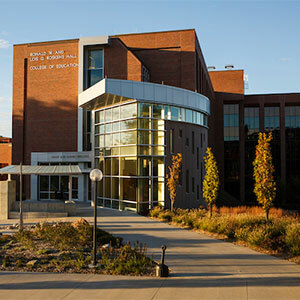 Students seeking admission to graduate programs in the College of Education should first apply through the Office of Graduate Studies at the University of Nebraska Omaha. Concentrations are required for each candidate seeking a Master of Science Degree in Secondary Education. Students will choose an area of concentration in a special field which will provide depth in an area of interest. Courses within the concentrations will be decided upon in conference with the student's advisor. Concentrations include: Bilingual Education, English, ESL, Equity and Social Justice in Education, Instructional Technology Leadership, Math, Middle Level, School Library, Science, STEM (Science Technology Engineering Math), Teaching and Learning. Endorsements are additions to teaching certificates and do not lead to initial teacher certification. The coursework for the endorsement plans has been approved by the Nebraska Department of Education. After completion, candidates must apply for the additional endorsement(s) at the state department. Please talk to your advisor and submit your endorsement plan of study prior to completion of six hours of coursework. Endorsements include: Bilingual Education, ESL, Information Technology, Instructional Technology Leadership, School Library.